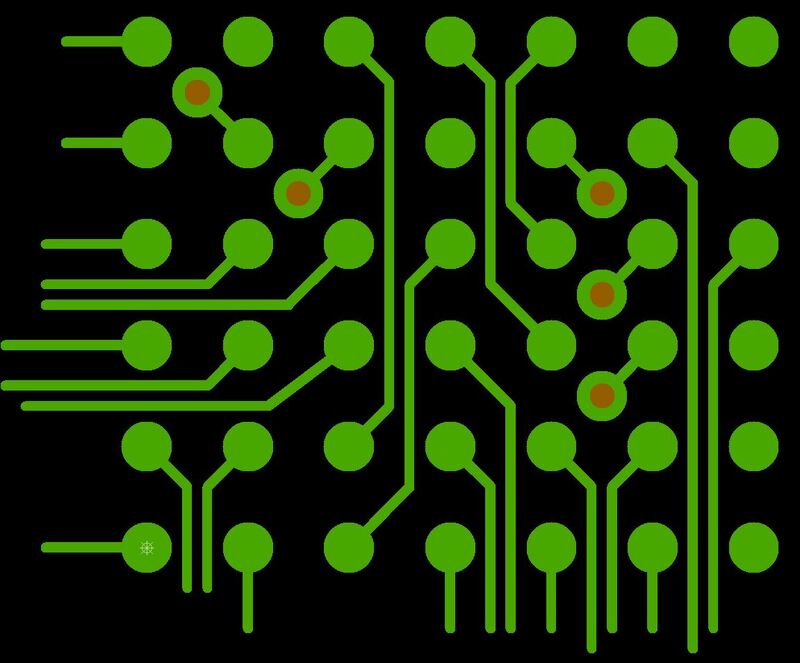 HDI printed circuit boards (High Density Interconnect) offer the finest trace structures, the smallest holes and Blind & Buried Vias (Microvias). HDI technology enables a highly compact, reliable printed circuit board design. Also applied are Via-in-Pad and multiple microvia-layers (Stacked & Staggered Vias). Pressing of additional layers through SBU (Sequential Build-Up) or SSBU (Semi Sequential Build-Up) technology enables routing on the inner layers, with space left on the outer layers for components with high pin density. IPC-6012D defines HDI-Printed Circuit Boards et al. with drills ≤ 0.15mm (6mil) and track width/ -space ≤ 0.1mm (4mil). State-of-the-art production equipment and over 25 years of experience in printed circuit board technology enable Multi-CB to offer process-reliable, cost-effective solutions for HDI circuit boards! 0.1mm tracks as well as 0.2mm drills are already standard technology with Multi-CB (without surcharge). The most common reason for using HDI technology is the significantly higher packing density. The space, which is obtained by finer track structures and Microvias, is available for components and their landing surfaces. In addition, the overall space requirement decreases, which results in a smaller board size and a reduced number of required layers. Often FPGAs or BGAs are only available with a pitch of 1mm and less. HDI technology makes it easy to route and connect, especially when tracks are routed between the pins. A microvia has typical diameters of 0.15mm (6mil) - 0.1mm (4mil) and can be drilled by laser (standard) or mechanically. Due to a small annular ring of only 0.1mm, the microvia pad has a diameter of only 0.3mm (12mil), which means an enormous space-saving compared to conventional Via pads. Microvias are also available in these applications: Via-in-Pad, Stacked Vias, Staggered Vias filled with non-conductive paste and Filled & Capped Vias (metallized and planarized). Microvias offer a special added value when routing Finepitch BGAs with 0.8 mm pitch and below. They also have better electrical properties than conventional "thick" vias or Blind Vias.